James J. Owens is an expert in professional management communication. He has published 100+ articles in national and international publications. Professor Owens has appeared on CNN and has interviewed numerous Fortune 500 CEOs. He worked in the UK, France, Germany, Saudi Arabia, and Africa for companies including Bain Consulting, Agfa-Gavaert, Coco-Cola, and Louis Vuitton, and consults with corporations on topics ranging from communication to leadership. He is Founder and CEO of The World is Just a Book Away, a non-profit literacy organization. As National Managing Partner of BDO USA, LLP's R&D Tax Services business and BDO International's Global R&D Center of Excellence, Chris works in the area of U.S. federal, state, and non-U.S. R&D tax credits and incentives, helping companies claim and support tax benefits for their efforts to improve their products, manufacturing processes, and software. Emilio Diez Barroso is the Chairman of WIJABA and the Founder of NALA Investments, LLC, a private investment holding company with operations across various industries including communications, transportation, energy, media and technology. The company manages a portfolio comprised of multiple investment asset classes primarily in the United States and Latin America. Drew Boyles is an entrepreneur and community leader with a broad background in management consulting and corporate leadership. Drew recently founded Haz Away Today, the first company of its kind focused on residential household hazardous waste removal. He has also served in various leadership capacities with Entrepreneurs' Organization, including two terms as President of the Los Angeles Chapter and as a US West Area Director. 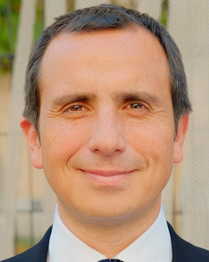 Diego Gutierrez is an entrepreneur and the Director of the emerging office of the Universidad Nacional Autónoma de México (National Autonomous University of Mexico—UNAM) in Los Angeles, the largest university in Latin America, working to bring enhanced opportunities for education to the Latino population in the United States. Diego has spent half of his professional experience working for the Mexican Federal Government, specifically the Federal Electoral Court. He holds a BS in Public Accounting from the Universidad Iberoamericana in Mexico City, an MBA from Ecole des Hautes Etudes Commerciales du Nord (EDHEC) in France, and he is currently a doctoral candidate in Law from UNAM. Michelle is the Founder and Principal of Targeted Transitions, a coaching and personal branding agency that collaborates with individuals and companies, working one-on-one and in teams to reach their goals. She honed her 25+ years of marketing and corporate expertise across multiple industries including entertainment at Turner Broadcasting Systems, Inc. and Disney, packaged goods at Mattel, advertising for Daily and Associates and academia at USC's Marshall School of Business and UCLA's Anderson School of Management. She led global brand management teams in successfully developing and launching several leading brands including Winnie the Pooh, Disney Princesses, Barbie, Polly Pocket and Harry Potter. Michelle received her BA in Psychology from the University of Southern California. A former banker, Mrs. Johnson specialized in international cash management for mid- and large-cap corporations and major banks, including a 6-year stint as Vice President and Region Manager, Citibank, Global Products and Services. Upon retirement, she went back to USC, earning a Masters of Professional Writing degree in 2001. She earned her BS in Marketing Management from Drake University. An avid writer, she has published the first of her two completed novels, The Sausage Makers Daughters. Gabriela Serna is the Director and Founder of New Ground Partners, a public relations agency based in Mexico City and Los Angeles. In 2000, she was awarded with the Rockefeller Fellowship, which allowed her to start and preside over "Learning Through Arts", a children's art education program in Mexico City sponsored by the Guggenheim Museum in New York. Gabriela has a degree in Management from IPADE (Instituto Panamericano de Alta Dirección de Empresa), a certificate in Graphic Design from Parsons School of Design, an Art History diploma from La Sorbone, and a Marketing certificate from Universidad Anahuac. Dina is the President of Pegasus Coaching Group, Inc. and an Executive Leadership Coach for Mariposa. Before launching her coaching career in 1999, Dina worked in the entertainment industry as President of an independent film company. She ran multi-million dollar projects on budget, managed large teams under high pressure and was involved in the creation of award-winning films. Her most recent coaching clients include Directors to CEOs at AAA Northern California, Avanir Pharmaceuticals, Cisco, City of Burbank, Getty Museum, WestEd and Zest Finance. Dina holds a B.A. from Princeton University and an MCC from the International Coaching Federation. 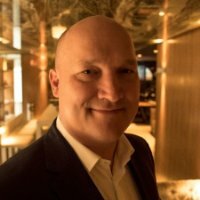 Douglas Edward Rowell is an award-winning advertising, entertainment and marketing veteran with 20 years of experience in designing, developing and delivering multi-platform content and performance driven experiences that define how technology, business and the consumer engage each other. As an innovator, strategist, and channel agnostic marketer in the ever-changing environment of brands, commerce and media, Mr. Rowell prides himself on staying on top of trends and counter-trends. This has translated into a passion for solving complex marketing and production problems for organizations as well as nurturing successful creative teams and delivering beautiful, compelling content, experiences and campaigns that drive ROI. With a strong background in children’s literary, animated and live action projects— his work as a director and producer has been nominated for multiple awards including three Primetime Emmy Awards. Mr. Rowell has contributed, spoken or been featured in animation, creativity, education and marketing publications and events including The Advertising Club, Advertising Week, Animation World Network, Business Week, BONUS Creative Week MX, Congreso RED 3, DM News, KTLA5, Huffington Post, and the ADDYs among others. Dr. Chartock is Professor Emerita of Education at Massachusetts College of Liberal Arts in North Adams, MA. Prior to teaching on the college level, she taught high school history at Monument Mountain Regional High School in Great Barrington, MA, and before that middle and elementary school. She has authored several books and journal articles that promote interdisciplinary instructional approaches and call for multi-cultural and global perspectives as the bases for nurturing critical thinking and tolerance. She has also provided professional development for in-service teachers and lectured on a wide variety of topics related to education throughout her career. James was appointed Dean of the USC Marshall School of Business and holder of the Robert R. Dockson Dean's Chair in Business Administration in April 2007. In addition, he holds a full-time appointment as Professor of Marketing in the Department of Marketing, where he has been since 1997. Holding an MBA from Harvard Business School and BBA from the University of New Mexico, Mr. Ellis worked in the corporate world from 1970 to 1997. Riz Khan is a recognized media journalist, host, and producer, following extensive careers with the BBC, CNN, and Al Jazeera English. In 2005, he was recruited by the Al Jazeera network to set-up its English-language channel and to host a daily, live, interactive show featuring the world's top newsmakers. He also gained recognition for his flagship, weekly profile show, Riz Khan's "One on One". Riz attended the University of Wales in Cardiff, where he earned an honors degree in Medical Physiology and switched to Journalism for his post-graduate studies. 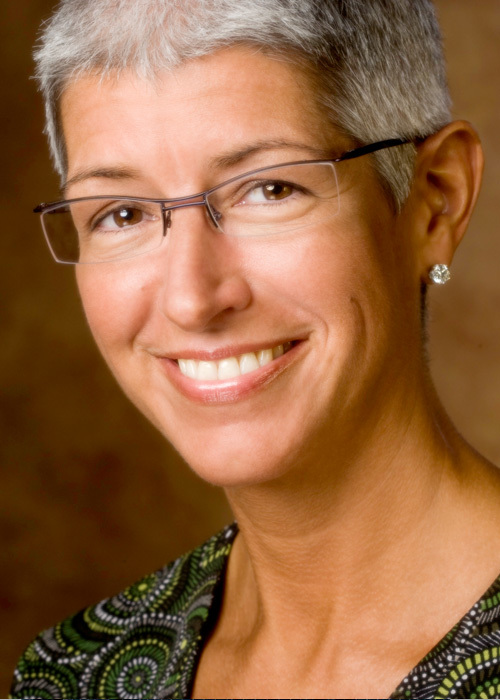 Jenny became President & CEO of Charlotte Russe Holding, Inc. in 2009. Jenny joined Gap, Inc. in 1986, serving in various executive capacities in its San Francisco headquarters. In 1994, she was a member of the executive team that launched Old Navy. From March 1999 to October 2006 she served as President of Old Navy. Jenny was included in Fortune magazine's 2003 & 2004 lists of "50 most powerful women in American business. "She received her Bachelor of Art's Degree in Clothing Merchandising from San Jose State University. Marco Antonio Regil is a talk show host and media personality who began his career in 1985 as a disc jockey in his hometown of Tijuana. Since 1997, he has simultaneously hosted one or more national series on Televisa and Univision/Telefutura, including The Price is Right, Family Feud, Dancing with the Stars, Are You Smarter Than a 5th Grader?, and Mi Sueno es Bailar. In 2011, according to a national Readers Digest poll, he was voted the most trusted personality on Mexican television. In 2012 he joined the newly launched Spanish-language U.S. channel MundoFOX where he currently hosts Minuto Para Ganar. He has been studying for a degree in spiritual psychology at the University of Santa Monica. Rudy is a professor at the University of Southern California's Rossier School of Education and President of Global Partnership Schools. As a lifelong educator whose career has spanned the classroom to the chancellorship of the nation's largest school district (New York City Public Schools), Rudy's guiding principle in his work as an educator has always been to provide the means by which all students can achieve high standards. He received a Doctor of Education degree in Educational Administration, a Master of Education degree in Urban Education from the University of Massachusetts at Amherst, and BA in Management from Babson College. Nina is a researcher and consultant with Inverness Research Inc., an educational research and consulting firm based in northern California. As a consultant with the firm since 1995, Ms. Houghton has worked to provide insight into the design, quality and effectiveness of educational reform initiatives in schools and districts across the country. She holds a BA from Stanford University and a Masters of Education from Lesley University. As Vice President of Outreach and Assistant to Dr. Jane Goodall at the Jane Goodall Institute, Mary has been engaged in environmental awareness and protection efforts for many years. Tim is a speech and dialect coach with over 35 years' experience in theater and film. Having trained with Edith Skinner at Carnegie Mellon University, he was on the faculty of The Juilliard School for 12 years. Tim has coached more than 135 professional theater productions and has worked on over 135 feature films. Andru is the Managing Director & Co-Founder of Bramadi Capital with over 15 years experience in investment management. He started his career with the Salimgroup's Indofood, one of Indonesia's leading food companies. He served on the Board of Commissioners of Indosiar, one of Indonesia's largest national TV & media companies from 2003-2012. 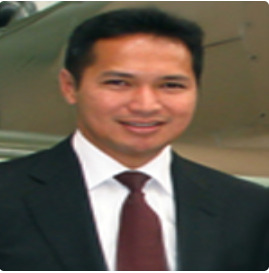 He is currently the Chairman of the Indonesian Chamber of Commerce (KADIN) –Asia Pacific Committee and served as Chairman of the East ASEAN Business Council from 2010-2012. He represented Indonesia at the APEC Young Leaders Forum in Monterey, Mexico in 2006 and was one of the Asia Society's Asia21 Fellowship receipients. He received both his MBA in Finance and BA in Economics from USC.